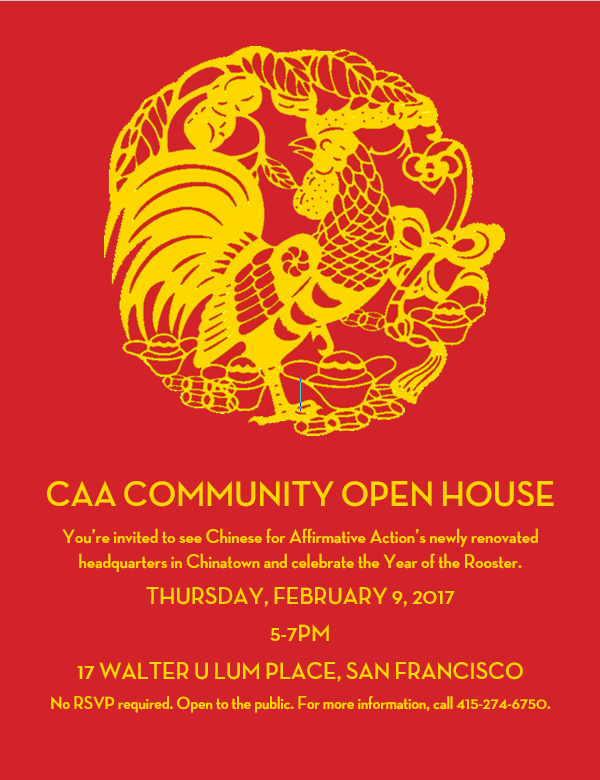 We are excited to announce that CAA has returned to our Chinatown headquarters at 17 Walter U. Lum Place. After renovations to improve accessibility, modernize facilities, and upgrade the community room, we are returning to a space that will continue to serve the community for generations to come. To welcome our community members back to the renovated Kuo Building, we will host a Community Open House on Thursday, Feb. 9 from 5-7pm. This is open to the public. No RSVP required. Hope to see you there!